Sleep easy knowing that your videos are making money through VdoCipher. Full membership + password system for free and paid content. Implement pay-per-view, SVOD & TVOD revenue models for your videos. HTML5 player for Browsers. 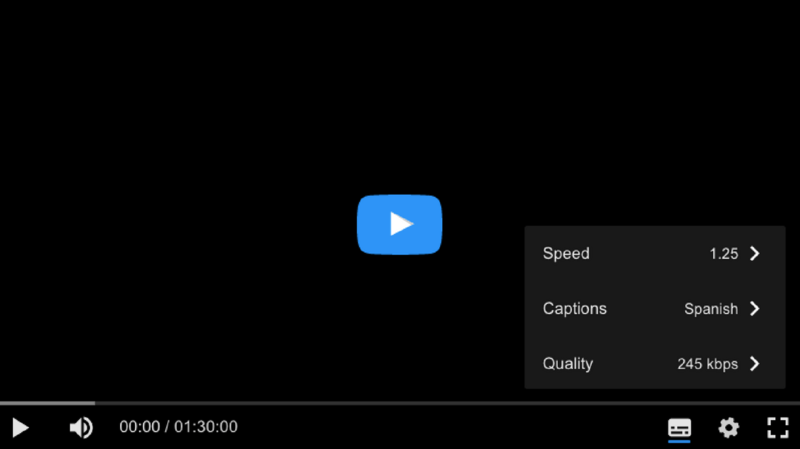 Speed change, Adaptive playback, Multi-lingual subtitles. DRM encryption & watermark to prevent piracy. Get details about how your users are watching your video, across the globe. Restrict user bsaed on number of views. Use attractive media and education domains to start with any custom subdomain. Upgrade to use any domain of your choice. Edit images and text on homepage to create your brand. Use template media and education themes for quickest launch. We use top tier Sever & CDN companies like Amazon AWS, Google & Akamai for highest quality experience across globe. Serves clients across 30+ countries.